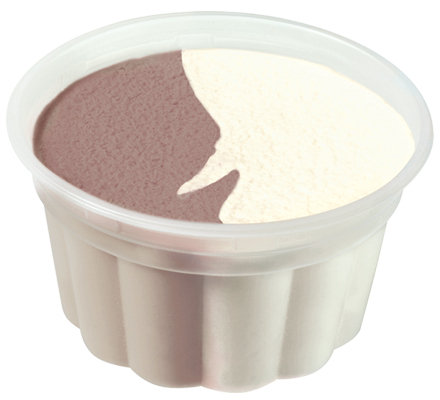 Creamy vanilla flavored and chocolate low fat ice cream. Case Dimensions: 12.375 in. x 9.875 in. x 6.5625 in. Ingredients: Skim Milk, Milk, Sugar, Corn Syrup, Polydextrose, Cocoa Processed With Alkali, Contains 1% or less of Natural Flavors, Propylene Glycol Monoesters, Mono and Diglycerides, Guar Gum, Carob Bean Gum, Carrageenan, Vitamin A Palmitate, Annatto Extract for Color.